Now that the Senate is finally debating a bill that would overhaul the immigration system, legislators would do well to separate myth from reality. Myth 2: Immigrants migrate because they are very poor. The poorest people migrate internally. Rich countries such as South Korea have sent many migrants to the U.S. while Bangladeshi women, who are very poor, have migrated little even in Asia, the region with the highest rate of migration. Europe was a net exporter of people until 1980. Family ties, occupational preference, distressed conditions at home and historical ties matter. U.S. involvement in Cuba, the Philippines and the Dominican Republic in the early the 20th century was a critical factor in the movement of citizens from those countries to America. Business interests were key at various times in pushing for the legal hiring of Mexicans. Myth 3: These immigrants are culturally different and threaten the American way of life. Immigrants are religious, family-oriented, entrepreneurial and no more prone to crime than natives. Seventy percent of Hispanics who moved to the U.S. in the last two decades are Catholic (one fifth are “born again” Christians) and 23 percent are Protestant. One in two undocumented households has couples with children; only thirteen percent of them are headed by single parents—against one third of native households. The percentage of immigrant workers who are self-employed mirrors that of natives. Immigrant-led gentrification has revived neighborhoods from New York to Florida. Adjusted for age, the proportion of immigrants who are criminals mirrors that of natives. Myth 6: A flexible system would mean an invasion of foreigners. Undocumented immigration is self-regulating. When there is demand for immigrant work, they come in large numbers; in times of recession, the flow stops. Between 2005 and 2010 net immigration came down to zero. Legalizing this undocumented market would maintain the dynamic. Since the large number of undocumented people implies that legal barriers have not been very effective, it is safe to assume that market forces would be similar in a flexible system. Mexico is progressing and the problem for the U.S. will soon be how to attract more foreign labor! mmigrants pay many local and state levies, including real estate and sales taxes, and about $7 billion in Social Security taxes. Between the 1970s and the 1990s they represented $25 billion more in government revenue than what they cost. They would contribute much more if they were documented. Most immigrant children have at least one parent who is a citizen, so counting all of them as part of the cost of immigration is deceptive. The welfare state was never a “pull” factor: until after World War II immigrants were not entitled to relief programs. Immigrants did not cause government spending to grow by a factor of 50 in one century. Alvaro Vargas LLosa is a Senior Fellow at the Independent Institute, and author of the forthcoming new book, Global Crossings: Immigration, Civilization and America (June 2013). Mohammad Abdollahi is my Hero of the Day! President Obama has issued an executive order putting a stop on the deportation of young (below 30-years old) undocumented immigrants who have lived here for more than five years and have attended school without criminal records. states. Some with useful talents and intelligence have been denied opportunities they deserve. Some right-wing politicians are willing to sacrifice these young innocents to punish their parents. In many cases the parents were forced to migrate because devastating US policies have inflicted economic damages in their home countries. That the majority of these folks are from south of the US border should not distract us from the reality that many Iranian youth should also benefit from this presidential decree. I want to introduce to you one of the main leaders of the Dream Activist movement. 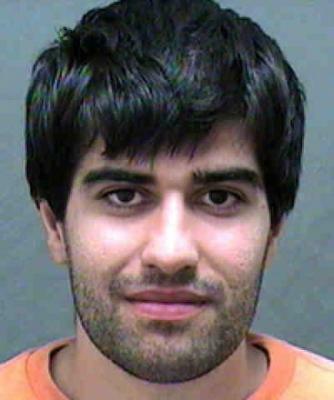 Mo is a 26 year-old Iranian-born man, Mohammad "Mo" Abdollahi. He is my "Iranian of the day" for what he has accomplished through pure love and dedication to his ideals: He serves to protect his young brother and sisters who were in the same danger of deportation. Mo was born in Iran, brought here at age 3, grew up in Michigan, and has never been back to Iran. Initially his parents were on student visas but later failed, for technical reasons, in filing for legal residency. Consequently Mohammad became undocumented, even after his parents got residency through his sister who was born in the US. For the past few years Mo has worked on the Dream campaign day and night, from state to state, organizing the movement.